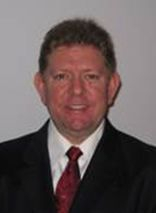 Scott Gordon is the founder, president, and sole owner of Realty Edge, LLC. He has twenty years experience serving the public’s real estate needs and has helped thousands of families buy and sell homes. He is the recipient of numerous sales awards and professional accomplishments. Scott is a consistent multi-million dollar producer with a proven track record & an unequaled passion for his work. Scott lives in Massachusetts on the South Shore. He enjoys spending quality time with his wife & two children. His sporting interests include golf, sailing, football, baseball, racquetball, volleyball, & Formula 1 Racing. He enjoys travel & contemporary arts. Scott has studied various forms of the martial arts over the past twenty years & achieved his black belt at age nineteen in American Freestyle Karate. He has taken an active role in teaching other Realtors® self-defense & self awareness tactics to ensure their on-going safety. Scott also enjoys donating his time to teach these skills to local Girl Scouts & Boy Scouts.